Every mania or unsupported rise in prices (so many examples in the stock market) relies on the Greater Fool Theory. The idea is that you will be able to get out of the market (whatever it is) by selling at the peak to someone else who doesn’t know it’s about to crash. But you’re both fools and neither of you will win. This article describes the business side of Miami and other Florida coast residents’ resistance to leaving. Problem is that interests with fewer stars in their eyes may leave all of the fools with nothing. Condominiums going up in Edgewater, across the bay from Miami Beach. Sea-level rise hasn’t stopped developers from building by the water’s edge, or people from buying there. Demand and financing could collapse before the sea consumes a single house. 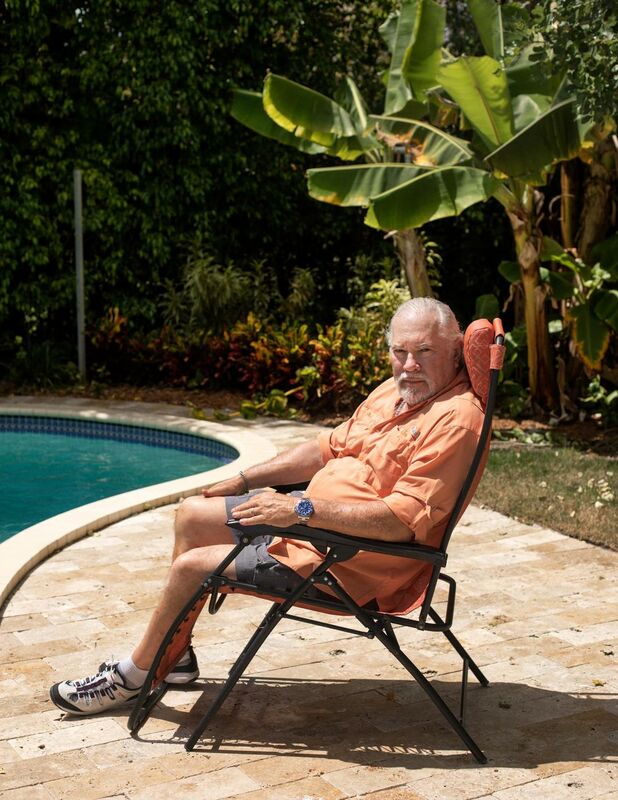 On a predictably gorgeous South Florida afternoon, Coral Gables Mayor Jim Cason sat in his office overlooking the white-linen restaurants of this affluent seaside community and wondered when climate change would bring it all to an end. He figured it would involve a boat. When Cason first started worrying about sea-level rise, he asked his staff to count not just how much coastline the city had (47 miles) or value of the property along that coast ($3.5 billion). He also told them to find out how many boats dock inland from the bridges that span the city’s canals (302). What matters, he guessed, will be the first time a mast fails to clear the bottom of one of those bridges because the water level had risen too far. 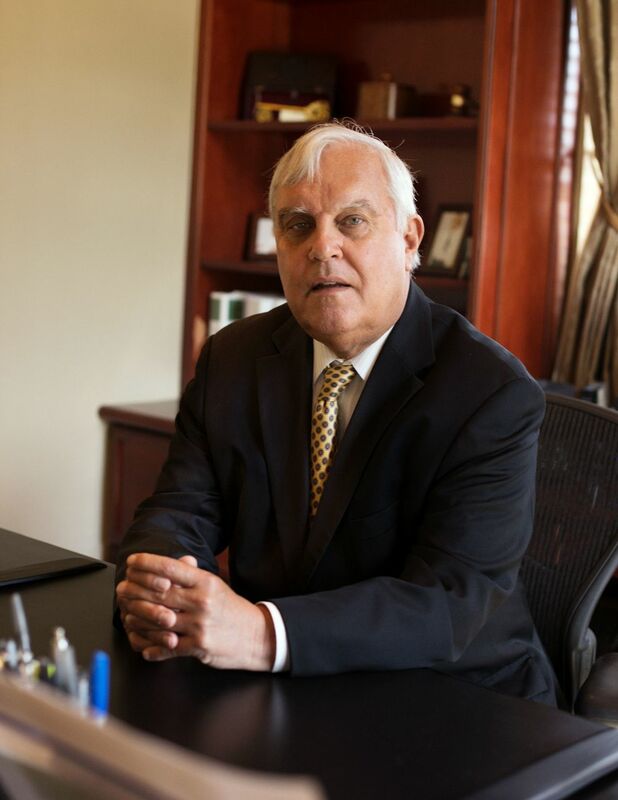 Jim Cason, mayor of Coral Gables, in his office. He worries that rising insurance costs, reluctant lenders or skittish foreign buyers could hurt home prices well before sea-level rise gets worse. If property values start to fall, Cason said, banks could stop writing 30-year mortgages for coastal homes, shrinking the pool of able buyers and sending prices lower still. Those properties make up a quarter of the city’s tax base; if that revenue fell, the city would struggle to provide the services that make it such a desirable place to live, causing more sales and another drop in revenue. And all of that could happen before the rising sea consumes a single home. As President Donald Trump proposes dismantling federal programs aimed at cutting greenhouse gas emissions, officials and residents in South Florida are grappling with the risk that climate change could drag down housing markets. Relative sea levels in South Florida are roughly four inches higher now than in 1992. The National Oceanic and Atmospheric Administration predicts sea levels will rise as much as three feet in Miami by 2060. By the end of the century, according to projections by Zillow, some 934,000 existing Florida properties, worth more than $400 billion, are at risk of being submerged. The impact is already being felt in South Florida. Tidal flooding now predictably drenches inland streets, even when the sun is out, thanks to the region’s porous limestone bedrock. Saltwater is creeping into the drinking water supply. The area’s drainage canals rely on gravity; as oceans rise, the water utility has had to install giant pumps to push water out to the ocean. The effects of climate-driven price drops could ripple across the economy, and eventually force the federal government to decide what is owed to people whose home values are ruined by climate change. Sean Becketti, the chief economist at Freddie Mac, warned in a report last year of a housing crisis for coastal areas more severe than the Great Recession, one that could spread through banks, insurers and other industries. And, unlike the recession, there’s no hope of a bounce back in property values. “Nobody thinks it’s coming as fast as it is,” said Dan Kipnis, the chairman of Miami Beach’s Marine and Waterfront Protection Authority, who has been trying to find a buyer for his home in Miami Beach for almost a year, and has already lowered his asking price twice. Some South Florida homeowners, stuck in a twist on the prisoner’s dilemma, are deciding to sell now—not necessarily because they want to move, but because they’re worried their neighbors will sell first. Dan Kipnis at his home in Miami Beach, which he’s been trying to sell for almost a year. He said he doesn’t want to live through all the construction required to keep Miami Beach livable for a few more decades. “I didn’t want to be there when prices fell,” said Lee, an environmental writer. Ross Hancock has the same worry, and sold his four-bedroom house in Coral Gables three years ago. He described South Florida’s real estate market as “pessimists selling to optimists,” and said he wanted to cash out while the latter still outnumbered the former. Lee and Hancock are outliers. When it comes to buying homes on the coast, most Floridians are still optimists. Since the end of 2010, median home prices in and around Miami rose 120 percent, almost twice the statewide average and three times the national rate. 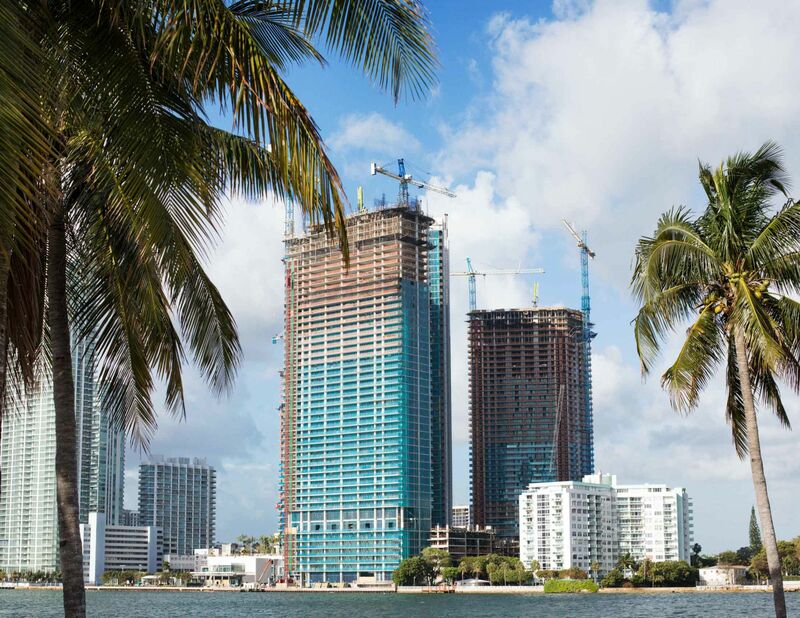 In January, a building in Palm Beach County called The Bristol topped $300 million in units sold, achieving the distinction of the most-expensive condominium in that county’s history. A flyer for the building boasted its hurricane-resistant glass doors; it didn’t note that if seas rise three feet, the road to the front entrance could be underwater. Marla Martin, a spokeswoman for Florida’s association of realtors, said that while “of course climate change is on the radar for our members,” she hadn’t heard of clients selling homes because of sea-level rise. “I think the scientists are still trying to get a handle on it,” she wrote in an email. A home in Arch Creek, a neighborhood north of Miami with some of the worst flooding in the area. In 2013, Miami-Dade County requested federal money to buy out some of the most vulnerable homes, and leave the land undeveloped. The federal government said no. A short drive through mangrove trees off Highway 1 in Key Largo, Stephanie Russo’s house backs onto a canal that opens into Blackwater Sound, and from there to the ocean; her neighbors lounge in shorts and flip-flops beside their boats. A few months after Russo, a partner at a law firm in Miami, moved to Key Largo in 2015, the big fall tides brought 18 inches of water onto the road in front of their house. Unlike previous tidal floods, this one lasted 34 days. “When we bought, there hadn’t been a flood like that for years,” said Russo, who was sitting at a table between the home’s outdoor bar and its pool. “Ever,” interjected her husband Frank, who was working on the grill. The saltwater ruined cars around the neighborhood, destroyed landscaping and sparked a mosquito infestation. But the worst part might have been the trash. Officials in Monroe County agree there’s a problem, and plan to raise some roads in an attempt to reduce future flooding. Realtors in Florida face no legal requirement to warn potential buyers about those flood risks. Albert Slap, president of Coastal Risk Consulting, which helps homeowners and governments measure their exposure to flooding, said he thinks that will soon change: Just as the public demanded mandatory disclosure of asbestos and lead paint, people will insist on the same disclosure if a house suffers regular floods. And when that happens, Slap said, many Florida home prices will tumble. Slap said the answer isn’t a mass retreat from the coast, at least not yet, but rather a version of battlefield triage: figuring out which homes are worth saving, through elevation or other means, and which can’t be helped. Stephanie Russo at her home in Key Largo. She said that if she knew how badly the area would flood when she was looking at the house, she wouldn’t have bought it. In an ornate lecture hall at the University of Miami’s School of Architecture last month, Philip Stoddard, the mayor of South Miami, sat through a presentation about the history of federal programs to purchase homes threatened by climate change, and whether those programs were likely to expand. Afterward, he invited the room to consider the sheer number of homes at risk in South Florida alone. Stoddard’s message: The government simply won’t be able rescue homeowners who wait too long to sell. “There isn’t enough money,” he said. There is as yet no federal policy on buying out properties that will be lost to sea-level rise. Last January, President Barack Obama’s administration awarded $48 million to relocate a small Louisiana town sinking into the Gulf of Mexico, the first such project funded by the federal government. But the administration made clear the project wasn’t intended to be a precedent, and it rejected a request from an Alaska village in the same situation. South Florida has likewise failed to get federal help for more modest relocations. 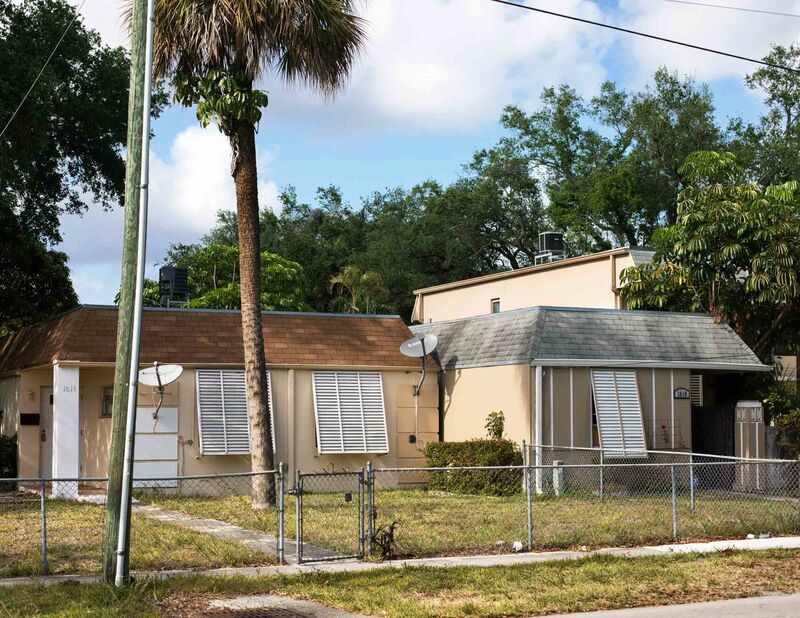 In 2013, officials in Miami-Dade County requested $2.3 million from the Federal Emergency Management Agency for a project that included buying out a handful of homes in a low-income neighborhood called Arch Creek, far from the glamor—and tax base—of Miami Beach. “Most of those homes had 8 to 10 inches in the house,” said Terry Parker, the county official in charge of the request. The plan was to tear them down and let the land revert to creek bed. But the county never got the money and hasn’t asked for a federal buyout since. Cason, the Coral Gables mayor, said Congress ought to create what he called a “resilience fund” for homes threatened by the water—but he doesn’t think it will. 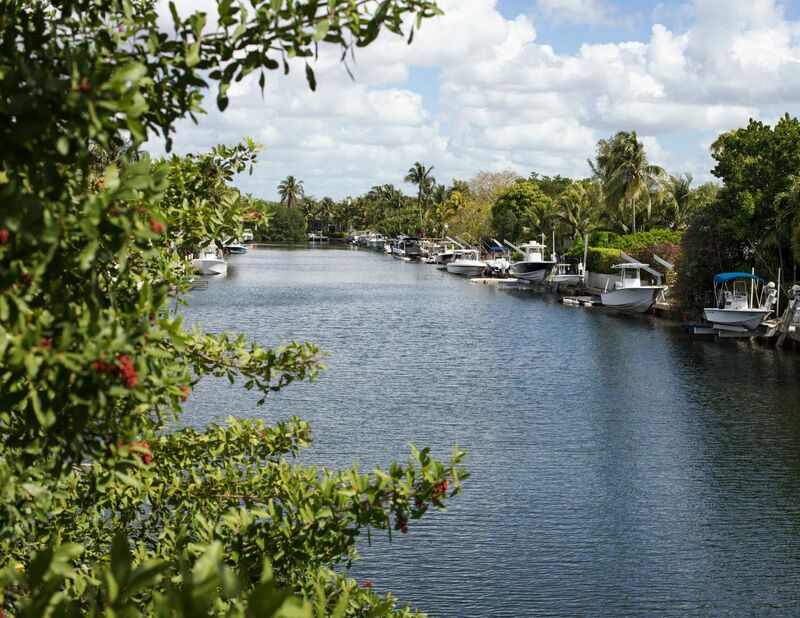 A canal in Coral Gables. Jim Cason, the mayor, worries that home prices will drop once rising water levels prevent boats from getting under bridges. “These boats are going to be the canary in the mine,” he said. The National Flood Insurance Program is up for reauthorization this year; fiscal conservatives have said they want to use that opportunity to reduce the program’s subsidies, so that people are paying something closer to the full cost of their risk. A cut in federal subsidies would particularly hurt Florida, which despite its exposure pays the lowest average flood-insurance premiums in the country, according to FEMA data. Laura Reynolds is the former executive director of the Tropical Audubon Society, Miami’s oldest environmental group; she’s lived in her house in Cutler Bay, an hour’s drive south of Miami, for 13 years. She said she had once hoped to pass it on to her niece or nephew, but now plans to sell. Next Post How will we have enough food if humans can no longer gather the crops? If I owned property in coastal Florida I would sell it IMMEDIATELY, and either move elsewhere or rent. that way when the inevitable crash comes my assets would not be impacted. I marvel at the people in Florida and those I know planning on moving there who are ignoring the tidal flooding that’s already normal.